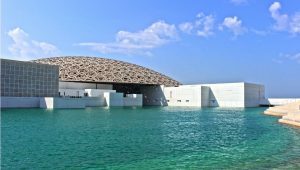 On February 8, in partnership with Spark Foundry UK and The Department of Culture and Tourism – Abu Dhabi, Verizon Media announces a new VR 360º video experience, offering users the opportunity to virtually explore some of the biggest tourist attractions in Abu Dhabi. 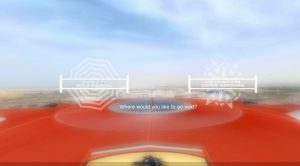 Created by RYOT Studio, the branching narrative within the video places the user at the heart of the experience, allowing consumers to discover key attractions and decide which landmark in Abu Dhabi they want to see next. While watching the video, consumers can view the locations in 360, either via click and drag if on desktop, via gyro motion if on mobile, or via a mobile powered VR device such as VR Cardboard. The VR experience allows the viewer to virtually ride the world’s fastest rollercoaster, travel by camel in the desert, kayak through the Mangrove National Park and gaze at the incredible architecture of the Sheikh Zayed Grand Mosque. By promoting these local attractions via a 360º virtual adventure, RYOT Studio is looking to excite affluent travelling audiences, from active adventurers to business travellers to culture vultures and more. Using a combination of mobile, video and native ad placements distributed across Verizon Media’s O&O and ad tech platforms to drive people to the experience, the campaign will use the powerful combination of great technology, content and data to maximise the opportunities to reach the right audiences.